Did you ever wear a full face of makeup and had to wash your face numerous times to get all the product off? Well I have and after a long day sometimes I don't feel like spending 15 mins at the sink getting the layers of perfection off of my skin. This is where this product comes in. With a mix of a cleanser and toner, this product strips makeup off of your face without over drying your skin. Perfect after a night of celebrations where your face is full of makeup but not for everyday use since the cost is high (unless your not a beauty on a budget). This product is great for removing heavy duty eye makeup without going through the hassle of using a makeup remover before cleansing. The product is easiest found in Sephora in Canada and the USA. 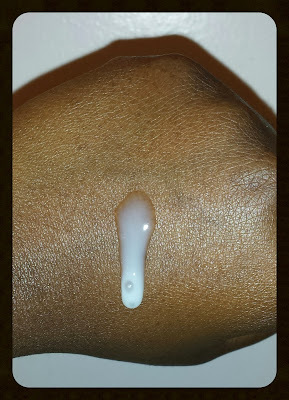 How to use: Damp face with lukewarm water and apply a dime sized amount of product in your palms and massage into face and neck (upward motion to avoid skin sagging). A little goes a long with with the product. Pros: Deep cleans your face leaving it beautifully smooth and less oily. It has a slight pleasant smell and you will notice how beautiful you skin will look and feel after using it (due to the toner within it's contents). Product is great on sensitive skin. Cons: Higher end cleanser. From quantity and price ranging 3 0z. for $10/$13 (USD/CDN) to 24 oz. for $41/$52 (USD/CDN), this isn't the most cost effective cleanser on the market. Not easily accessible since found mainly in Sephora/ Ulta/ some Department Stores (unless shipping from other online sources). 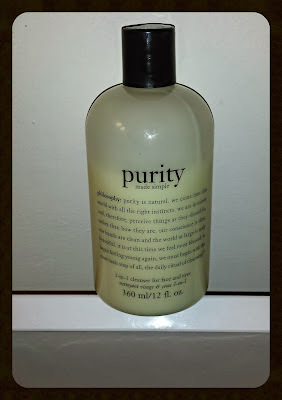 Final thoughts: Though this isn't the most cost effective cleanser on the market, it is one of the best out there. With a toner mixed in, this product makes your skin feel smoother and less oily. Worth it if you can afford it, especially since it is a cleanser and toner in one. I actually just tried this for the first time yesterday - I got a little sample cuppie when I bought something at Sephora. I felt like it really cleaned by face, but I don't think I can do that scent! It's pretty perfumey for a cleanser, but maybe that is just me! If you like the smell it's definitely a great product though! Nice post! Yes it depends on the person when it comes to the scent. I smell it slightly and my sister says it has no smell, but overall it is great. I'll have to give this a try! I def do not enjoy having to wash my face more than once to get makeup off. Yes definitely try it out. Get a sample first just in case but Im sure you will love it. Thanks for writing such a detailed review! I think you'll agree with me that skin care products, especially those which are sold for the mass market, can be a major source of toxins for many people. It's great that you always try to chose natural cosmetics. I'd like to advise you reading this article http://www.agsinger.com/how-to-increase-the-beauty-of-your-face-without-any-surgery/ about increasing the beauty of your face in a natural way. I'm sure you'll like it!